There is a clear demand in advanced process industries, defense, and Internet and communication (VoIP) applications for intelligent yet adaptive/evolving systems. Evolving Intelligent Systems is the first self- contained volume that covers this newly established concept in its entirety, from a systematic methodology to case studies to industrial applications. 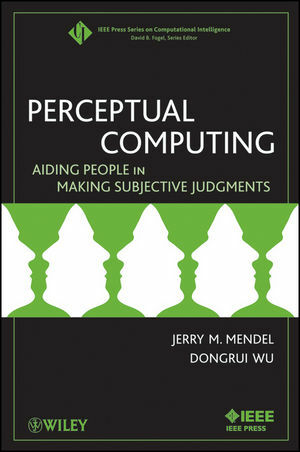 Featuring chapters written by leading world experts, it addresses the progress, trends, and major achievements in this emerging research field, with a strong emphasis on the balance between novel theoretical results and solutions and practical real-life applications. Evolving Intelligent Systems is the one-stop reference guide for both theoretical and practical issues for computer scientists, engineers, researchers, applied mathematicians, machine learning and data mining experts, graduate students, and professionals. PLAMEN ANGELOV, PhD, is with the Department of Communication Systems, Lancaster University. He is a member of the Fuzzy Systems Technical Committee, the founding Chair of the Adaptive Fuzzy Systems Task Force to the Computational Intelligence Society, and a Senior Member of IEEE. DIMITAR P. FILEV, PhD, is a Senior Technical Leader, Intelligent Control & Information Systems, with Ford Research & Advanced Engineering and a Fellow of IEEE. He is a Vice President for Cybernetics of the IEEE Systems, Man, and Cybernetics Society and?past president of the North American Fuzzy Information Processing Society (NAFIPS). Nikola Kasabov is the Director of the Knowledge Engineering and Discovery Research Institute (KEDRI). He holds a Chair of Knowledge Engineering at the School of Computer and Information Sciences at Auckland University of Technology. He is a Fellow of IEEE, Fellow of the Royal Society of New Zealand, Fellow of the New Zealand Computer Society, and the President of the International Neural Network Society (INNS). 1. 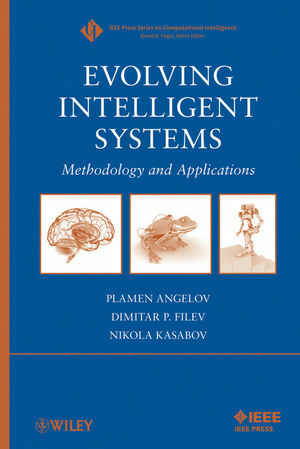 Learning Methods for Evolving Intelligent Systems (R. Yager). 2. Evolving Takagi-Sugeno Fuzzy Systems from Data Streams (eTS+) (P. Angelov). 3. Fuzzy Models of Evolvable Granularity (W. Pedrycz). 4. Evolving Fuzzy Modeling Using Participatory Learning (E. Lima, M. Hell, R. Ballini, and F. Gomide). 5. Towards Robust and Transparent Evolving Fuzzy Systems (E. Lughofer). 6. 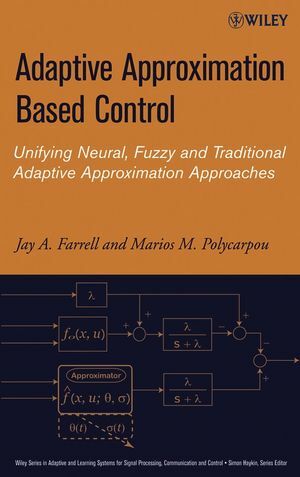 The building of fuzzy systems in real-time: towards interpretable fuzzy rules (A. Dourado, C. Pereira, and V. Ramos). 7. On-line Feature Selection for Evolving Intelligent Systems (S. Ozawa, S. Pang, and N. Kasabov). 8. Stability Analysis of an On-Line Evolving Neuro-Fuzzy Network (J. de J. Rubio Avila). 9. On-line Identification of Self-organizing Fuzzy Neural Networks for Modelling Time-varying Complex Systems (G. Prasad, T. M. McGinnity, and G. Leng). 10. Data Fusion via Fission for the Analysis of Brain Death (L. Li, Y. Saito, D. Looney, T. Tanaka, J. Cao, and D. Mandic). Evolving Fuzzy Clustering and Classification. 11. Similarity Analysis and Knowledge Acquisition by Use of Evolving Neural Models and Fuzzy Decision (G. Vachkov). 12. An Extended version of Gustafson-Kessel Clustering Algorithm for Evolving Data Stream Clustering (D. Filev, and O. Georgieva). 13. Evolving Fuzzy Classification of Non-Stationary Time Series (Y. Bodyanskiy, Y. Gorshkov, I. Kokshenev, and V. Kolodyazhniy). PART II: APPLICATIONS OF EIS. 14. Evolving Intelligent Sensors in Chemical Industry (A. Kordon et al.). 15. Recognition of Human Grasps by Fuzzy Modeling (R Palm, B Kadmiry, and B Iliev). 16. Evolutionary Architecture for Lifelong Learning and Real-time Operation in Autonomous Robots (R. J. Duro, F. Bellas and J.A. Becerra) 17. Applications of Evolving Intelligent Systems to Oil and Gas Industry (J. J. Macias Hernandez et al. ).